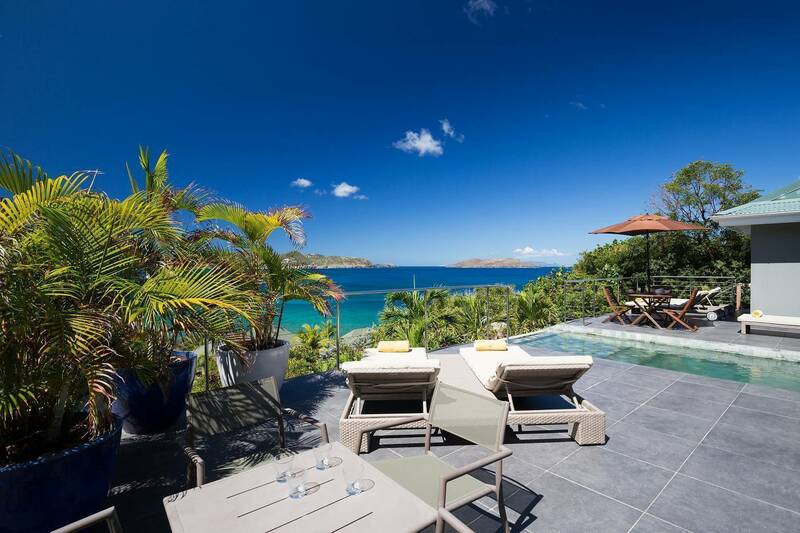 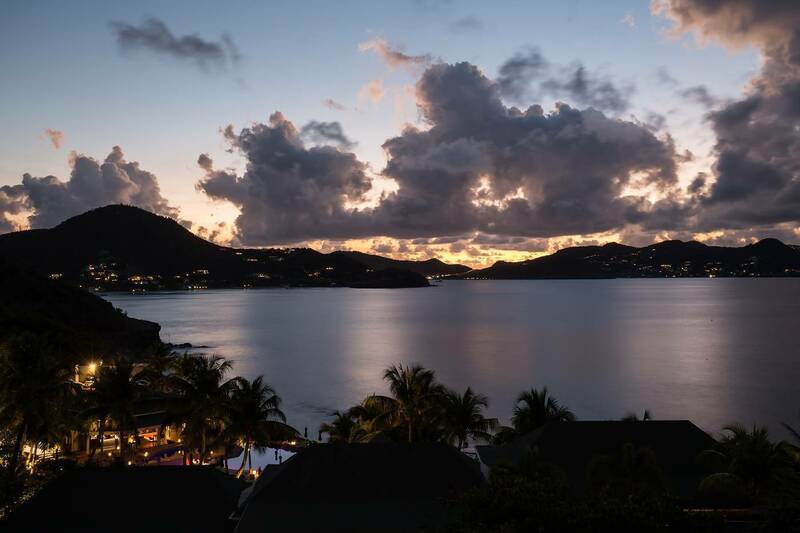 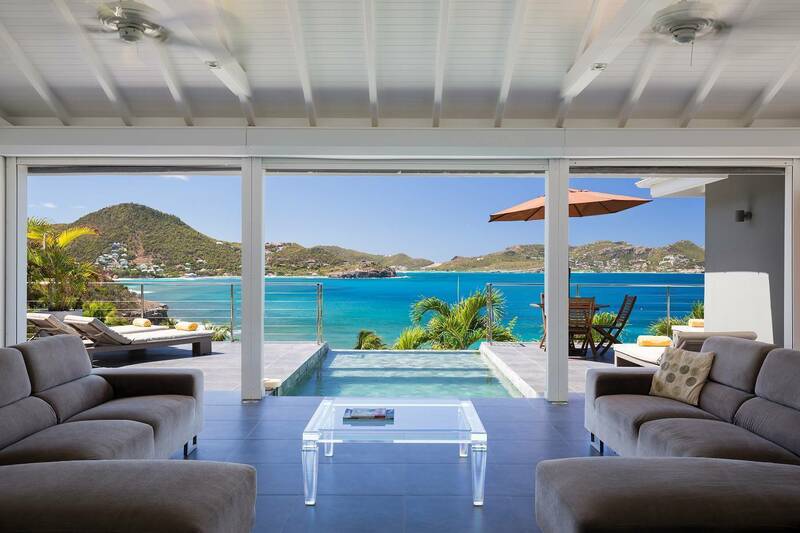 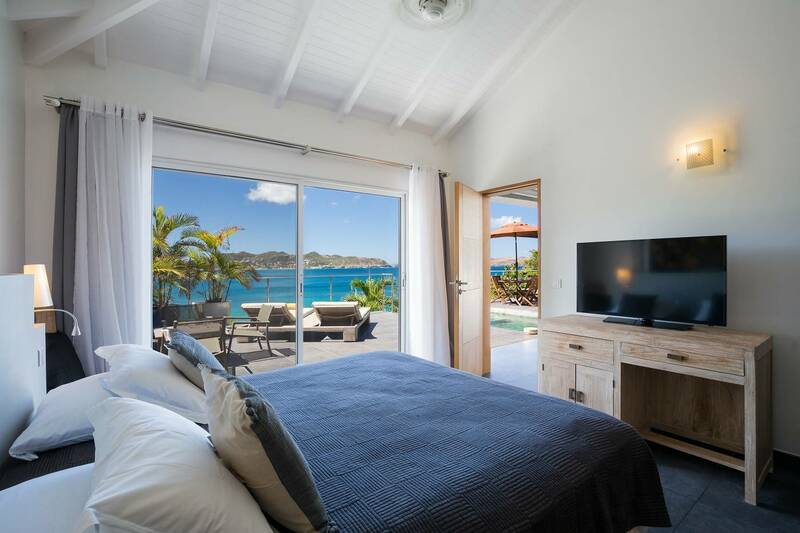 Dream About: A St. Barth villa vacation in one of its most sought-after locations – Pointe Milou – complete with a fabulous view. 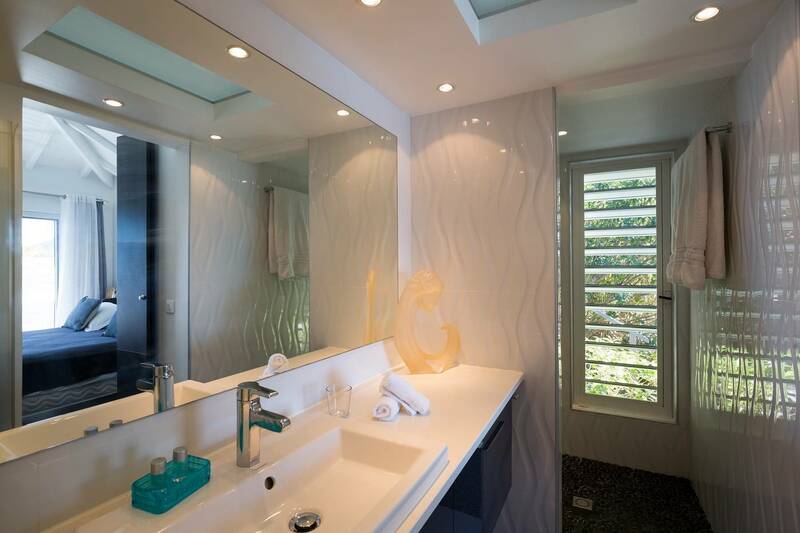 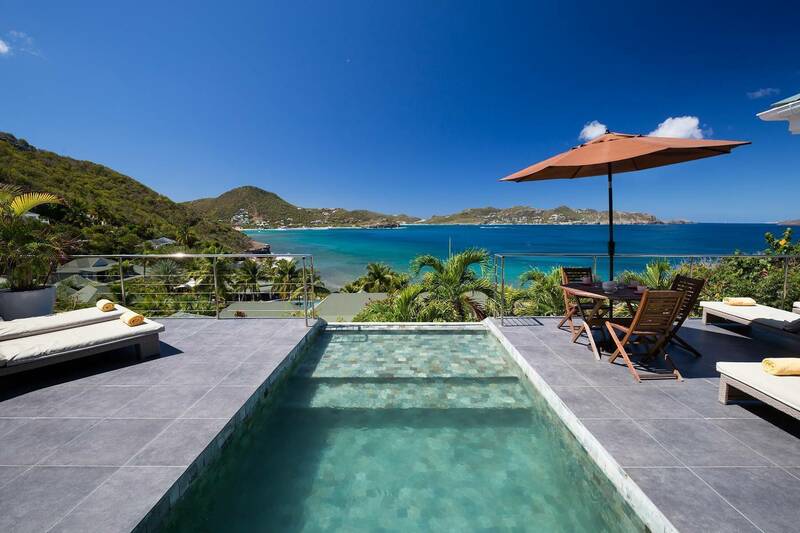 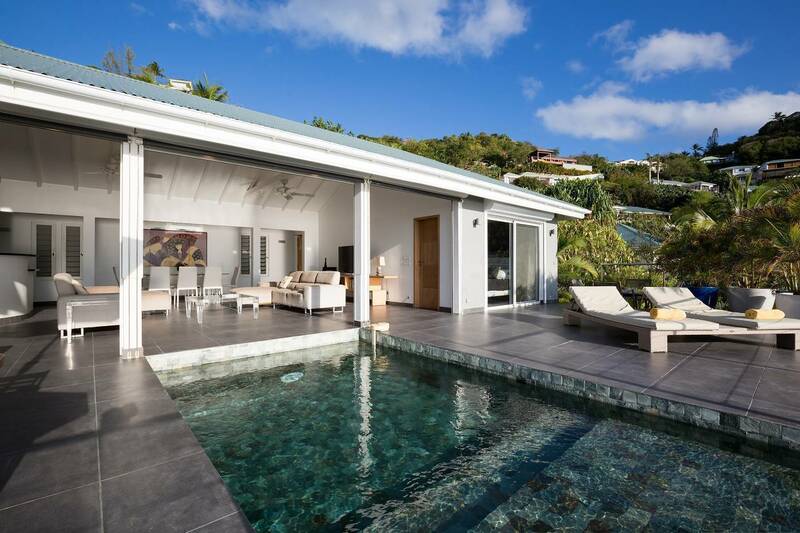 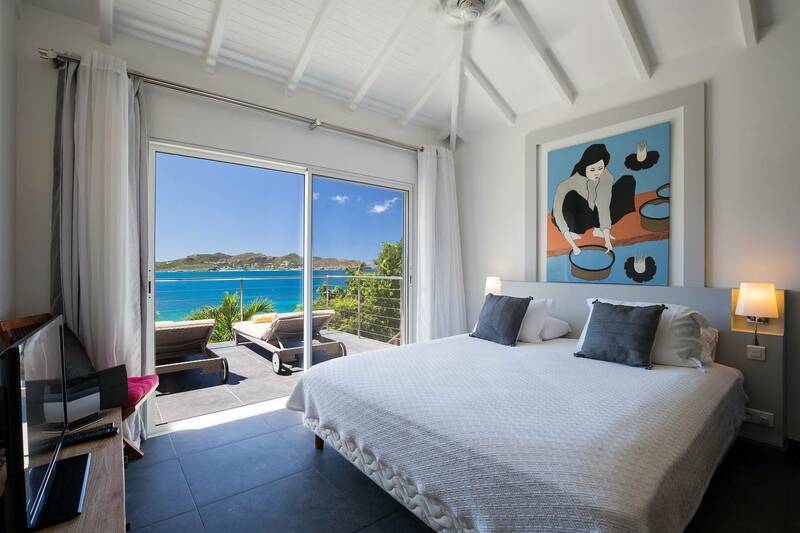 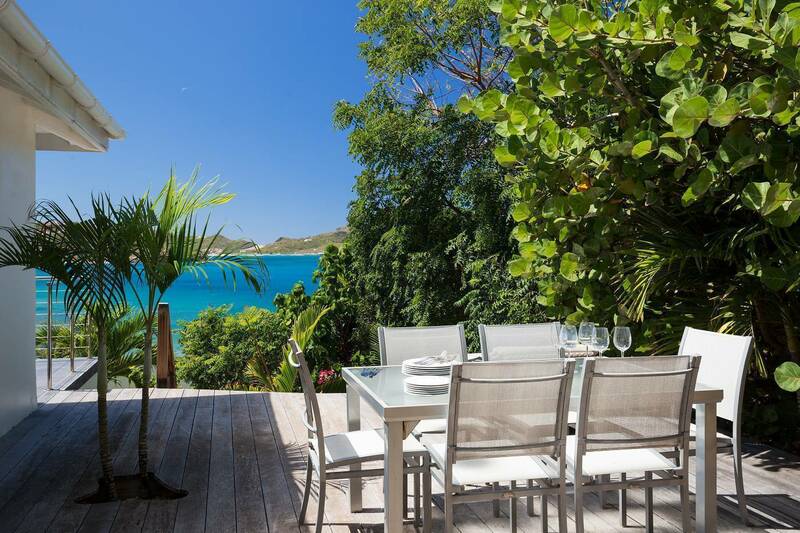 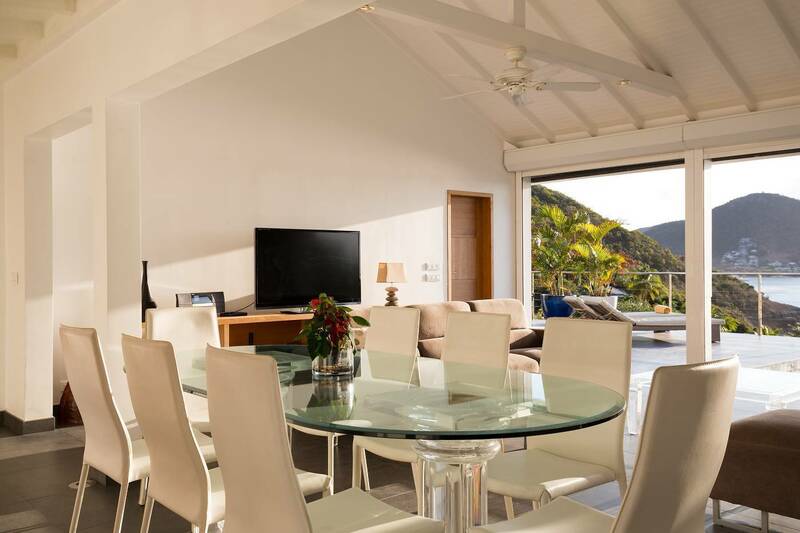 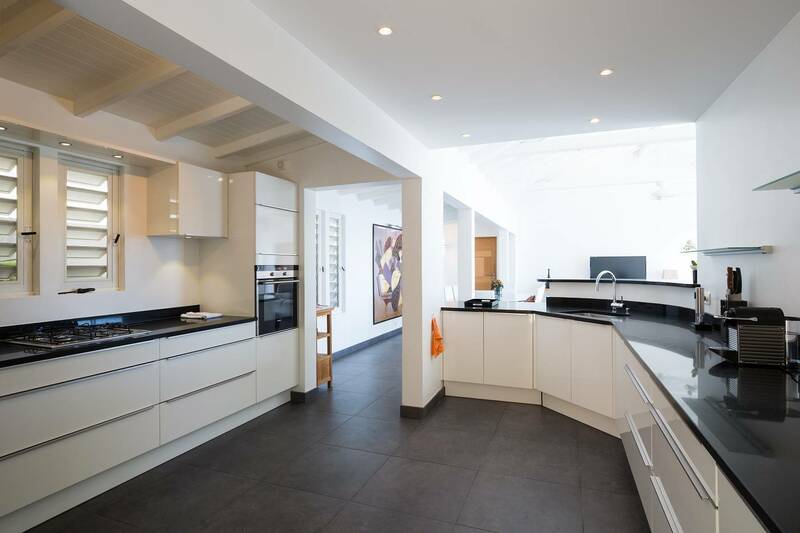 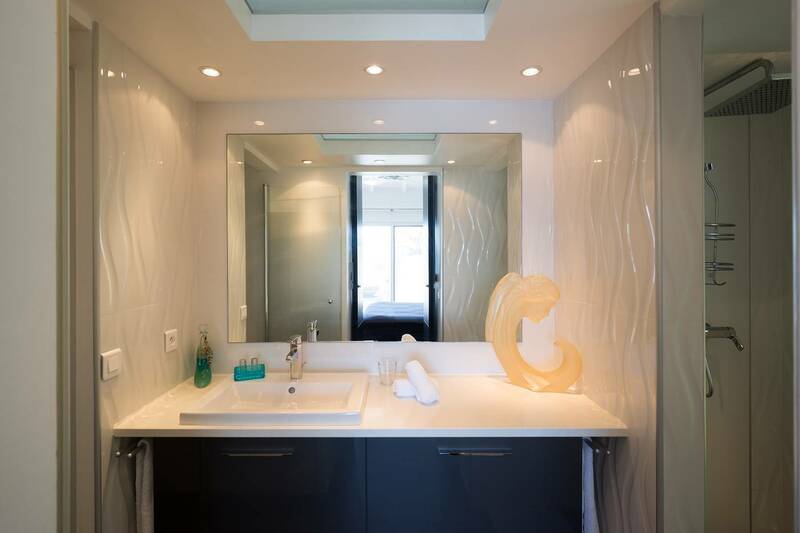 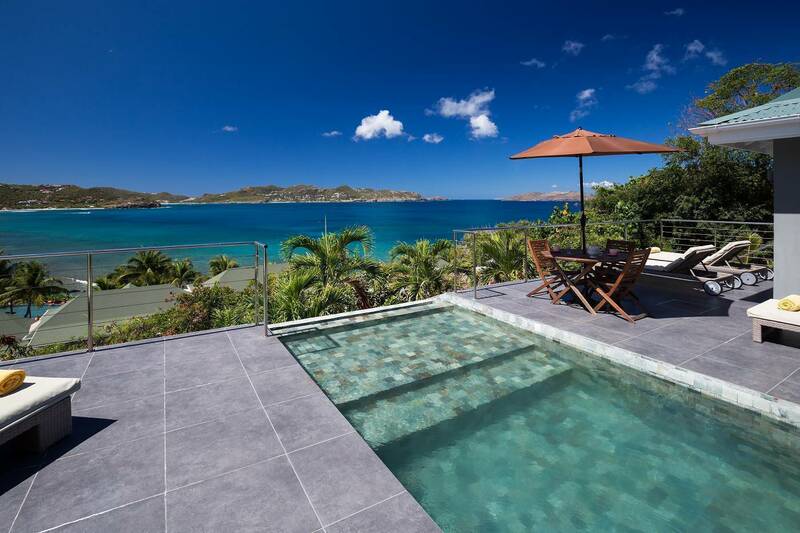 Airy and delightful, this 4 bedroom Pointe Milou villa offers a St. Barth villa vacation at its best. 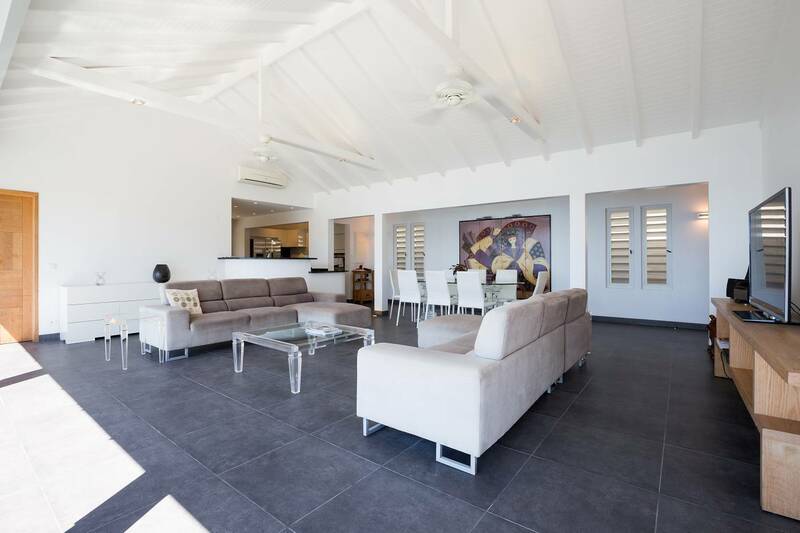 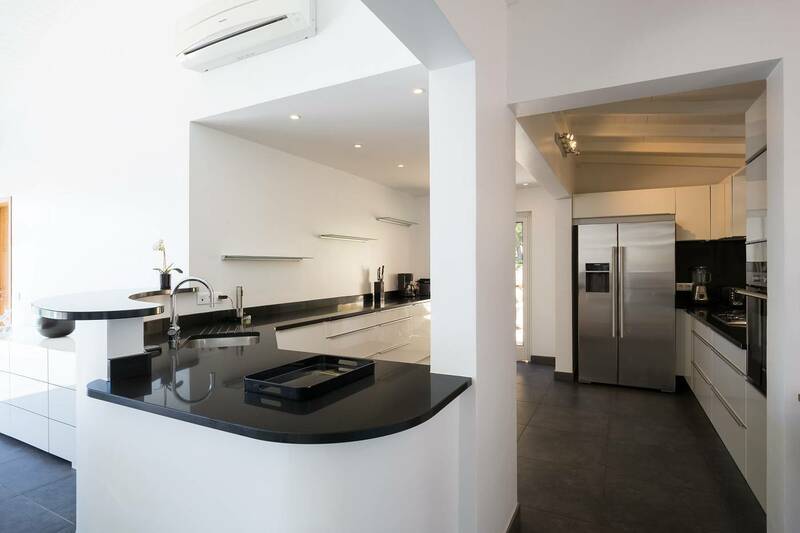 An open floor plan with a sleek kitchen and stylishly decorated air-conditioned living and dining areas is designed to frame a fabulous ocean view and glorious sunsets. 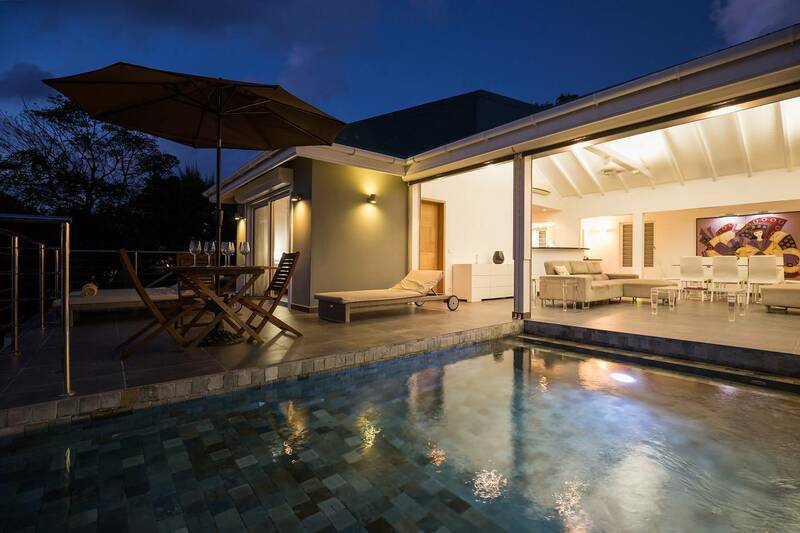 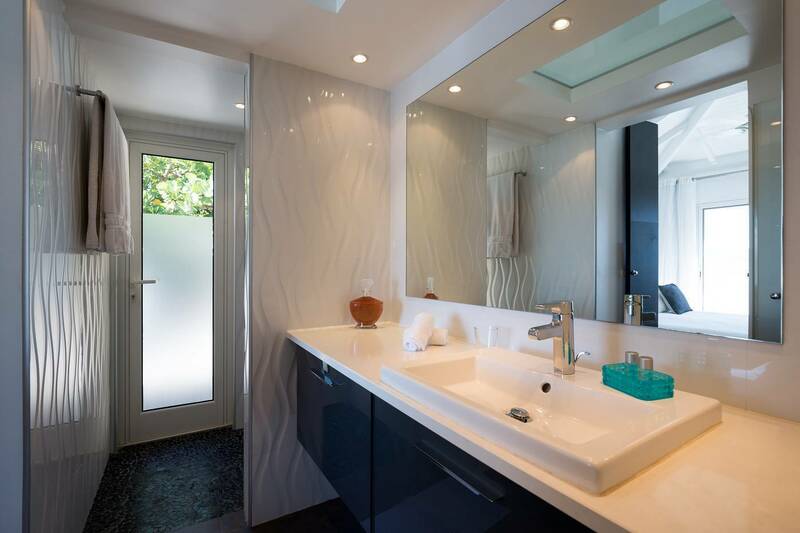 A just-right sized plunge pool, that guests can step down into, gracefully bridges the indoor and outdoor living spaces that include a terrace and an expansive wooden side deck for BBQ‘s and relaxing. 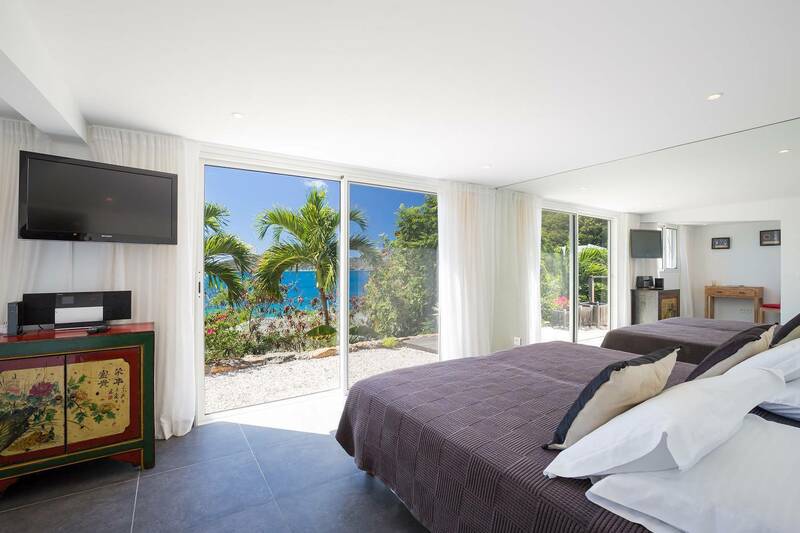 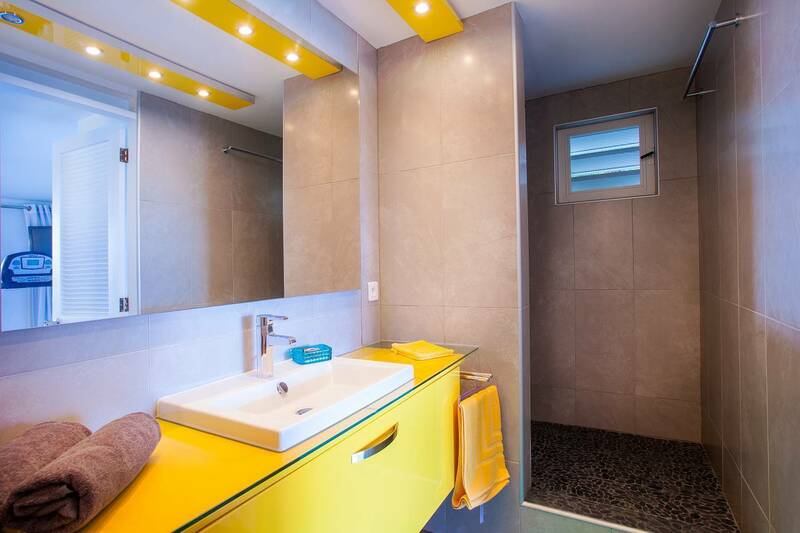 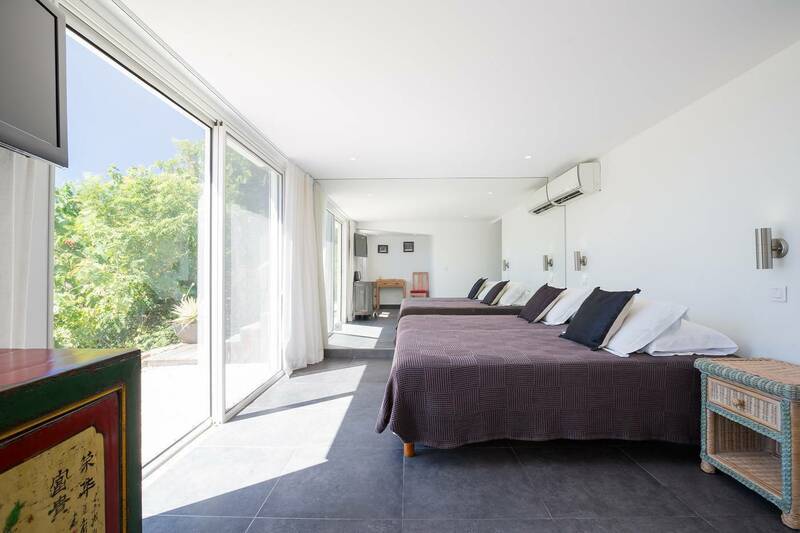 Two king bedrooms with en suite baths are located on either side of the villa. 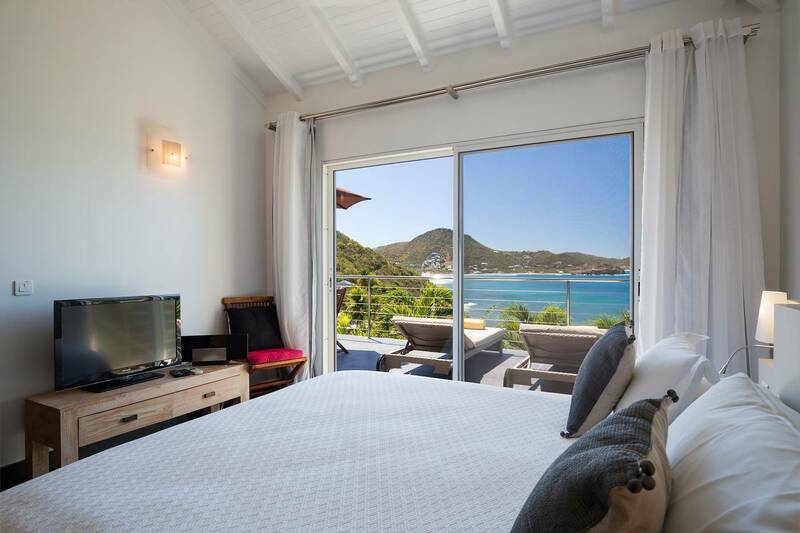 In one, guests can step out of the shower onto the deck; the other has access to the terrace via sliders. 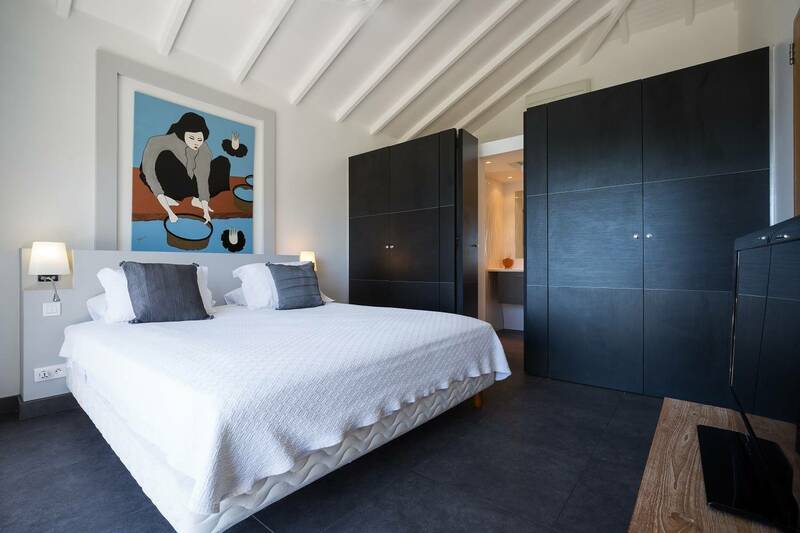 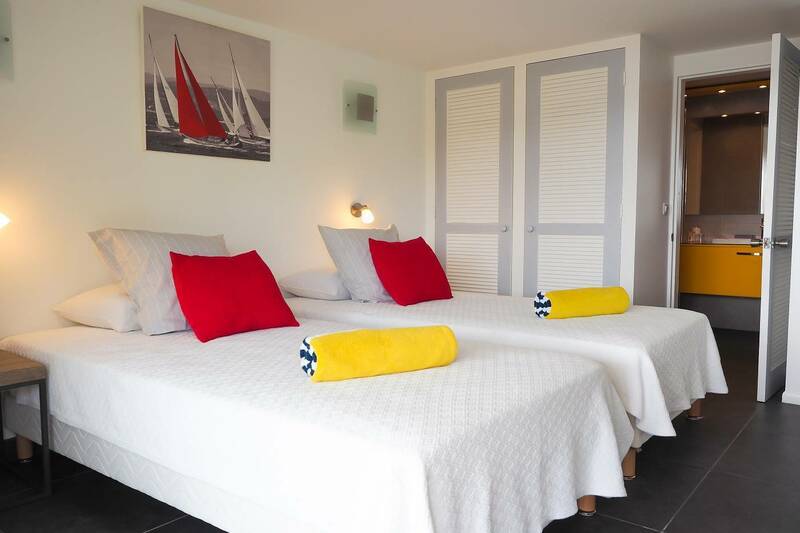 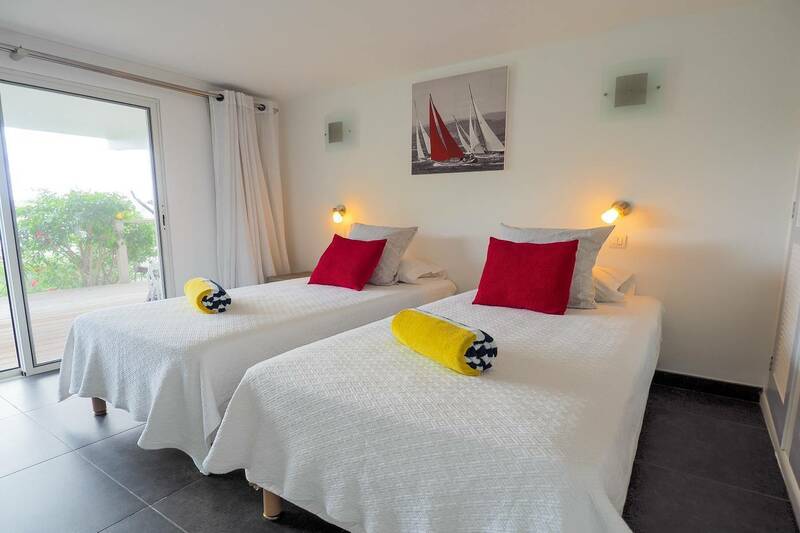 The 3rd and 4th bedrooms, also en suite, are located on the lower level. 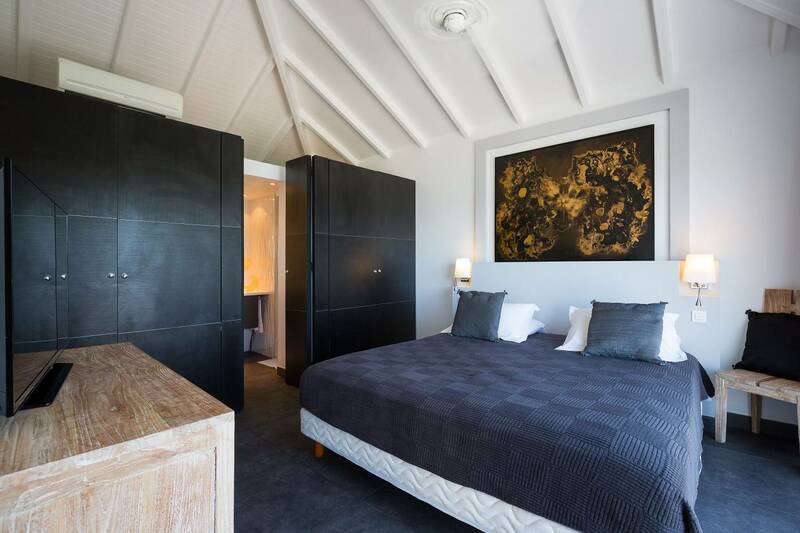 Their king beds are convertible to twins. 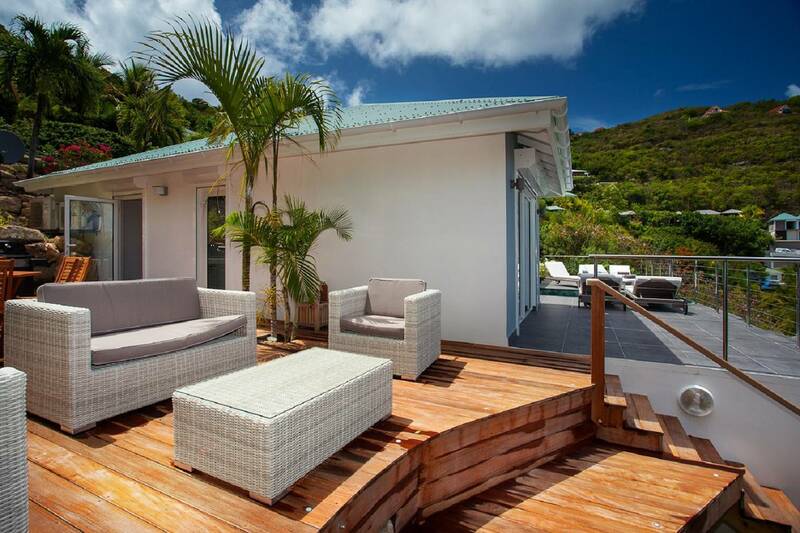 .Guests enjoy walking down to the 5 star hotel Christopher for lunch, dinner or a spa treatment.. 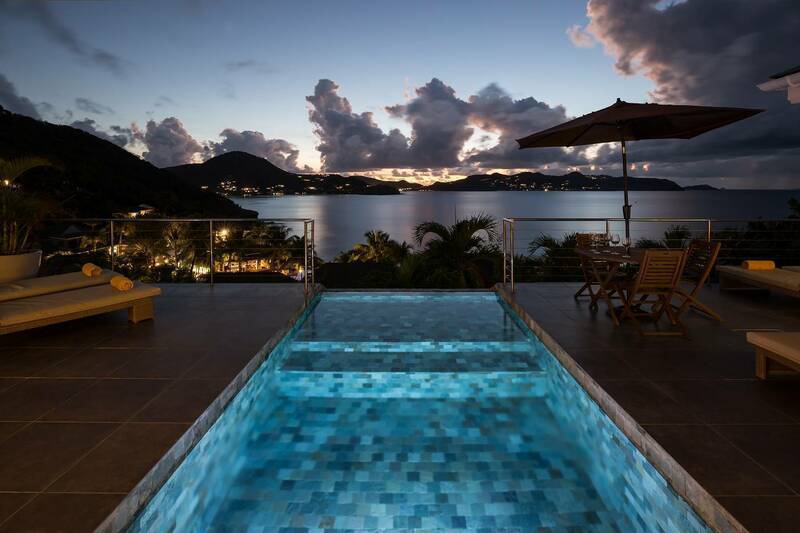 Stepping into the plunge pool and watching the sunset. 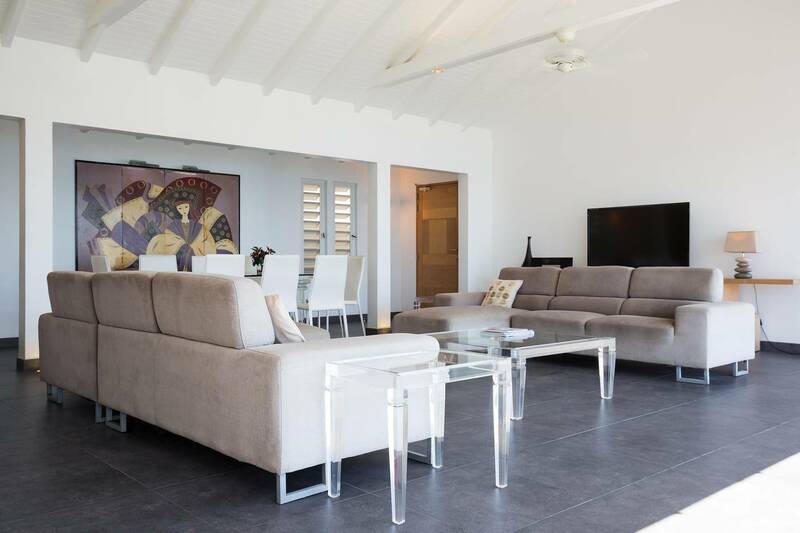 Lovely, spacious living areas; great BBQ deck, mini gym; 3 en suite bedrooms.